Several weeks ago, members of the Old Schoolhouse Review crew received materials from Bible Study Guide for All Ages to review. I received three copies of Intermediate Level Student Pages and the Bible Book Summary Cards for Liberty (10), Eden (8), and Sterling, (6). For Ruby (4) I received Beginner Student Pages, Beginner Time Line, and Children’s Songs CD Set. The Beginner Level was created for ages 4 and 5. 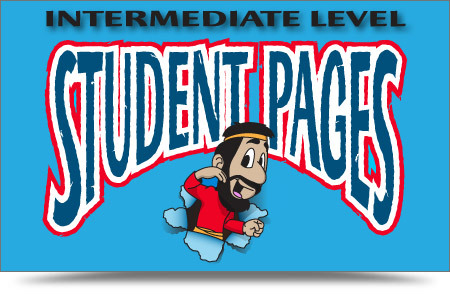 The Intermediate Level has been created for grades three and four. Sterling is in first, though, and it was quite easy to include him with the older girls, although I did have to give a bit more instruction. First of all, the kids loved this program. We worked through 2-3 lessons a week, and they all crowded around on the floor. With the story spread around simple instructions about coloring small pictures inset on the page, their attention was complete and they were eager to continue with the story. Ruby did hers with just me, and it was her homeschooling day’s highlight. As a dear girl who likes to “decorate” her pages, some days it drug on for 45 minutes, but if she were to follow the simple instructions instead of giving poor Joseph a coat of many polka dotted colors… yeah, she really enjoyed herself. The Intermediate Level with the three older kids moved along faster, and we spent 20-30 minutes a day with it. I read the story we were studying from Scripture, narrating when necessary so they’d fully understand, then we’d go through the instructions on the page. They colored and filled in blanks and listened along and from the answers they were giving me to the questions I asked, they totally “got it”. There isn’t a teacher book, so I’d have one of the kids sit next to me so I could read their instructions. Separate instructions would have been helpful – or, for a large group, I think the teacher simply having an extra copy to read and see what’s required would be great. x 11” pictures on cardstock with simple questions on each one. It supplements the book Ruby used. The Bible Book Summary Cards are also on 8.5” x 11” cardstock and could go with all levels, but I used them more for Liberty, Eden, and Sterling. They include a colorful picture on one side with a summary of a book of the Bible and questions regarding it on the back. They cover all 66 books of the Bible. We haven’t finished the book yet, but so far, everything has been completely in line with Scripture with no frills added. I really appreciate their approach: Read the Scripture, then go over the major details of the story again to talk about what happened. It never took liberties with the story, and didn’t fail to point out sin as the reason for the struggles that were faced. After the story was told, it would tell a modern-day story to tie the morals taught together. It was very well done. The student pages books are made to be torn out. They’ll fall apart if you don’t take them out. As a homeschooler, I’d rather keep books together, but if you were using these for a Sunday school or similar setting, this would be entirely appropriate. The pages are 8.5”x14”, so my idea of a folder has yet to come to fruition because I don’t have the proper folders on hand. I plan to get them though, to keep all the work together. I’m sure that this “binding” of sorts helps keep costs low, but it was frustrating to have them falling apart from day one. 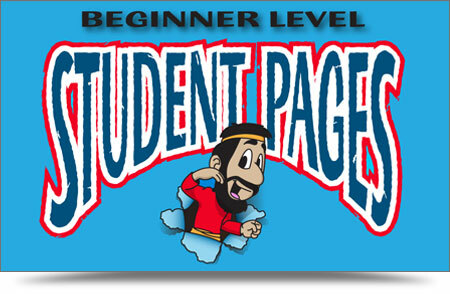 Beginner Student Pages have 26 lessons per book, all the way up to Lesson 416. 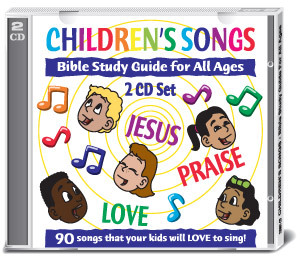 Each set of 26 lessons is $5.95. 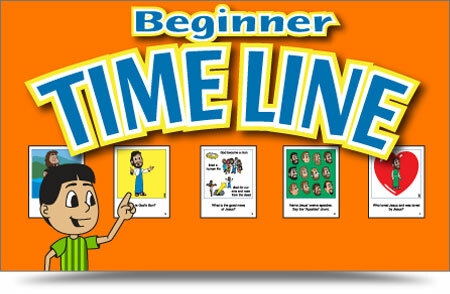 The Beginner Time Line is $24.95 The 2-CD Set of Children’s Songs is $19.95 The Intermediate Student Pages also have 26 lessons per book, up to Lesson 416, also $5.95 per book. 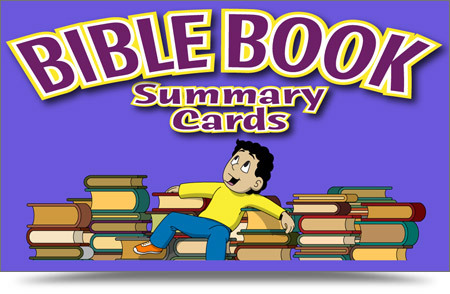 The Bible Book Summary Cards are $24.95 and cover all the lessons offered. To read what others thought of the levels I received as well as the other levels offered, visit the Review Crew Blog.